Representatives from the Ministry of Natural Resources and Labour, the Conservation and Fisheries Department and the National Parks Trust visited several fishermen throughout the Territory last week, in an effort to raise awareness and promote an increased understanding of the recommended protected areas surrounding the islands of Anegada, Virgin Gorda and Jost Van Dyke. Public officers visited fisherfolk one-on-one, held discussions and collected feedback on the proposed protected areas. The marine protected areas are proposed with the objectives of (long-term) increase in fish stocks, an enhanced ecotourism industry, healthier reefs and increased nature-based recreational opportunities. 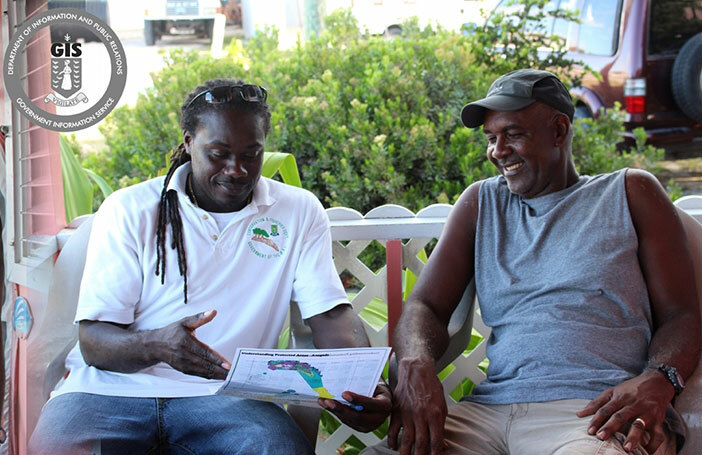 The meetings were held in Virgin Gorda on November 12 and Anegada on November 14.